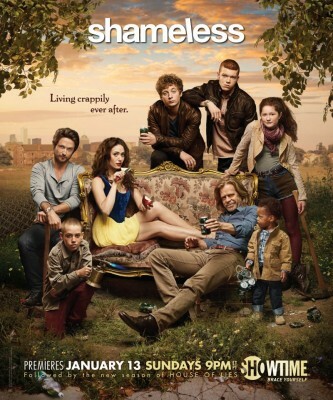 Late least year, it was reported that the UK version of Shameless was ending after 11 seasons. Will Showtime’s version last as long? Will it even be renewed for a fourth season or will it be cancelled instead? Stay tuned! Shameless airs on Sunday nights and there are 12 episodes once again. The show stars William H. Macy, Emmy Rossum, Justin Chatwin, Jeremy Allen White, Cameron Monaghan, Emma Kenney, Ethan Cutkosky, Joan Cusack, Shanola Hampton, Steve Howey, Zach McGowan, Emma Greenwell, and Noel Fisher. Below are the most recent ratings for the third season of Shameless on Showtime. The TV show’s ratings are the best way to tell if a series will be cancelled or renewed for another season. Final season averages: 0.8 rating in the 18-49 demographic with 1.65 million total viewers. 0.9 demo rating (+13% change) with 1.82 million (+9% change). Season averages: 0.81 in the demo with 1.65 million. 0.8 demo rating (0% change) with 1.65 million (-3% change). Season averages: 0.80 in the demo with 1.64 million. 0.8 demo rating (0% change) with 1.61 million (-4% change). 0.8 demo rating (0% change) with 1.67 million (0% change). 0.8 demo rating (0% change) with 1.66 million (-6% change). 0.8 demo rating (+14% change) with 1.76 million (+16% change). Season averages: 0.80 in the demo with 1.63 million. 0.7 demo rating (+17% change) with 1.48 million (+11% change). Season averages: 0.80 in the demo with 1.61 million. 0.6 demo rating (-14% change) with 1.32 million (-16% change). Season averages: 0.82 in the demo with 1.64 million. 0.7 demo rating (-30% change) with 1.53 million (-30% change). Season averages: 0.88 in the demo with 1.72 million. UPDATE: Shameless has been renewed for a fourth season by Showtime. 1.0 demo rating (+43% change) with 1.99 million (+31% change). Season averages: 0.93 in the demo with 1.78 million. 0.7 demo rating (-36% change) with 1.37 million (-45% change). Season averages: 0.90 in the demo with 1.68 million. 1.1 rating in the 18-49 demographic with 1.995 million total viewers. Season averages: 1.10 in the demo with 2.00 million. It was a positive opening for Shameless. Year-to-year, the premiere was up by 38% in the demo (vs a 0.8 rating) and up by 26% in viewership (vs 1.58 million). Reference point: The second season of Shameless averaged a 0.7 rating in the 18-49 demographic with 1.36 million viewers. What do you think? Do you still like the Shameless TV series? Do you think it should be renewed for a fourth season or cancelled instead? WHEN IS THE SEASON FINALE? I love this show and would be devastated if it ended! It’s new and innovative and unlike any other show on air! And it’s getting really good now!